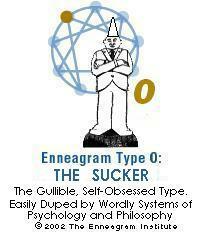 My friend, Greg Mutch, claims that there are no losers in the Enneagram. By that he means the Enneagram types are 1 to 9...no zeroes...no type 0. I beg to differ.